The main question many wine lovers ask about a vintage is, "Should I buy it?" For Burgundy, with the 2009s and 2010s, the answer is going to depend as much on who you are as what the wines are. The weather was much warmer in 2009 in Burgundy, not as hot as 2003 but with considerably more sun than any other year in the last six. In Bordeaux, that same consistent warmth led Robert Parker to declare it Bordeaux's second of three vintages of the century so far. But Bordeaux's great wines, as different as they can be, are still much more similar as a group than Burgundy's. Chablis and Montrachet have practically nothing in common except that they're both made from Chardonnay. In Burgundy, a rising thermometer floats some boats and sinks others. The best general rule for '09 vs. '10 I've discovered after a week tasting hundreds of Burgundies at Les Grands Jours is this: If the wine generally depends on what the French call "nervosity" -- fresh, edgy, lean character -- the '09s are not as good. But if the wine is one you might like for its ripeness, then the '09s might be delightfully ever-so-much-more-so. They're not unrecognizable outliers like '03; like me after eating foie gras and paté all week, they've just gained some love handles. Most white Burgundies will probably be better from 2010. But there are going to be exceptions, as I learned from tasting 45 Grand Cru wines from all regions. The standouts, as a group, were the Corton-Charlemagnes, a rich white wine to begin with. They were more impressive than the red Grand Crus: voluptuous, complex, with long finishes. I later learned that the six Corton-Charlemagnes we tasted were carefully selected for their acidity, so your results at random may vary. For reds, it's more complicated. Americans as a group like our reds bigger than the French, and it wouldn't surprise me for '09 to ultimately be the more popular vintage in the US, even though most Burgundy winemakers won't see it that way. 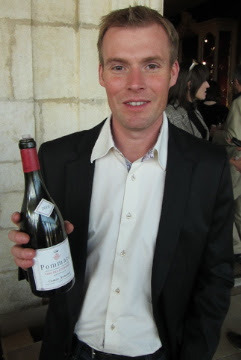 "2010 is what we like to do in Burgundy," says Benjamin Leroux, winemaker for Domaine du Comte Armand in Pommard. "My personal taste is '10. It's more elegant." But Alex Gambal, an American who has been making wine in Beaune for 14 years, says, "I went big on the '09s for my personal cellar. They'll last 50 years, these wines. In '09, I was talking with Michel Lafarge, and I said, 'These are the most beautiful grapes I've ever seen.' He said, 'Alex, me too.' And he's been making wine for 60 years. "You don't need the acidity (on the palate)," Gambal says. "They have good pH, and the tannins are beautiful. If the '09s are open and voluptuous, painting on a big scale, the '10s are miniatures with a lot of details. The '10s are more precise. They're intense and deep on a smaller scale." Prices will turn many people toward the '09s, which should logically be cheaper, because harvests were down about 25-30% in 2010. And maybe that's a good thing. "If you're trying to introduce Burgundy to somebody weaned on California wines, the '09s will be easier to understand," says Chuck Hayward, wine educator for JJ Buckley. 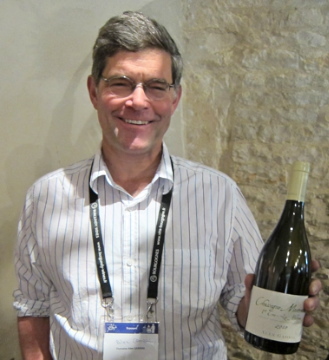 "One thing we've noticed is that a lot of (Burgundy) wineries don't have representation. Burgundy's a hard sell for retailers so in the 2008 crisis a lot of them cut back on their selection." Maybe the '09 wines are exactly what US importers need to get Burgundy back on store shelves. You had us at "voluptuous." Once again great research and actionable advice. Thanks. I particularly like the quotes that emphasize that ph and acidity (ta) are not always in parallel and how even a smoother wine can have age potential with the right ph levels. Any guidance on where to find these great wines in the US for a fair value? If you're looking country-wide, I would start at wine-searcher.com.